HMD Global, the company behind Nokia-branded phones, brought us a wave of nostalgia last year when it announced new version of the Nokia 3310 that could connect to 3G networks. Get ready for another blast to the past, because its next feature phone is the Nokia 8110, which as its name suggests includes support for 4G networks. Here’s everything you need to known about this cool little phone. 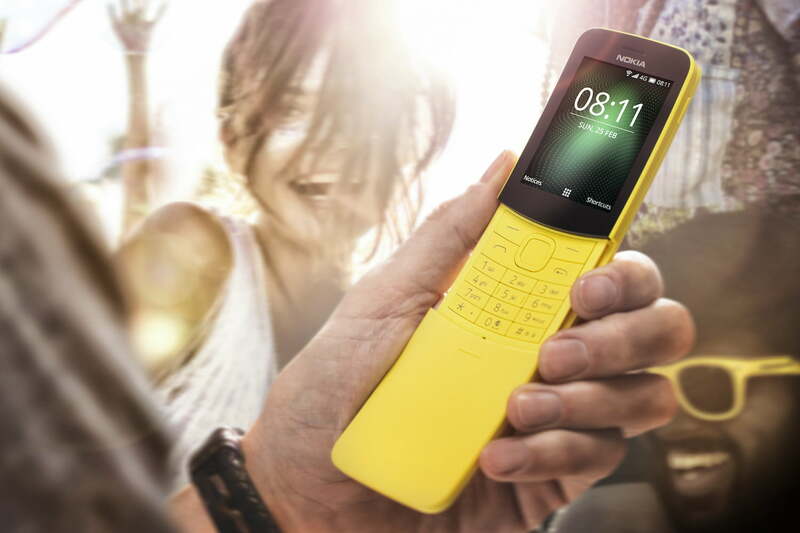 The Nokia 8110 4G has been a long time coming, but is now available to buy in the U.K.. The phone will be released on August 15 after a pre-order period starting August 9. The phone costs 70 British pounds, which is around $90, and is sold through retailers including Carphone Warehouse, plus EE, Vodafone, and O2 network stores. The Nokia 8110 was originally released back in 1996, and it was among the first of its kind to introduce the ‘slider’ — a cover you can open by pressing a button to access the keypad or to answer a call. With the 4G 2018 model, you’ll be able to slide open the phone to answer calls, and close it to hang up. It’s not as satisfying as hanging up a call on a flip phone, but we’re getting closer than ever. In comparison to the original model, the new Nokia 8110 4G has a more curved design, with a 2.4-inch rounded display and an improved keypad. On the back is a 2-megapixel rear-facing camera. Inside, it’s powered by Qualcomm’s Snapdragon 205 chipset, a 1,500mAh that offers standby time of 25 days, and 4GB of internal storage. While the Nokia 8110 was considered a high-end device back in the ’90s, its new model is more of a companion device for those days you want to disconnect — but not completely. You’ll be surprised to learn that HMD worked closely with Google to integrate apps like Google Maps, Google Assistant, and Facebook. You’ll also be able to import your contacts and sync your calendar from Gmail and Outlook. There will be an app store included on the Nokia 8110, but it isn’t tied to the Google Play Store or App Store for iOS. This is where you’ll download the specific apps you’d like to add to the phone, but we aren’t exactly sure what type of apps to expect yet. The device will come with pre-loaded games along with downloadable ones as well — including the redesigned Snake game. With a long-lasting battery life, access to 4G networks, as well as Google Maps, the Nokia 8110 4G could be great for camping or traveling. You’ll have the option of choosing between Traditional Black or Banana Yellow — which actually resembles the fruit, in case you’ve ever wanted a working Banana phone.